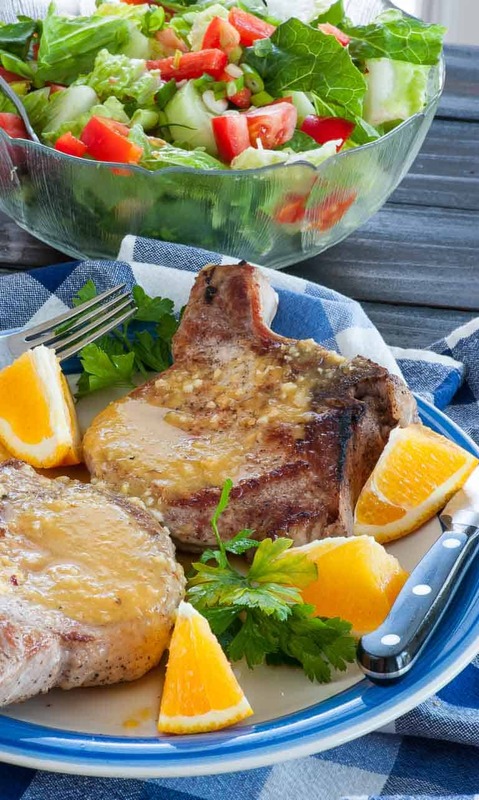 Here’s a tasty recipe for orange glazed pork chops that is fast and could easily be made after a hard day’s work. I started with 1 inch thick, center cut, bone in chops. They took about 15 minutes cooking time to get to 145 degrees measured close to the bone. The chops get seasoned, then a slight amount of sugar is put on the first side down. The chops start in a cold skillet and then the stove is turned on to medium heat. The slow heat method helps to slowly heat up the inside of the pork and retain moisture, which means a tender meat. The sugar helps to get a nice char on the pork chop too. My 1 inch chops stayed on the first side for 10 minutes. (I have an electric stove. A gas stove will heat up faster so a shorter time will be needed to get the chop about half cooked). For thinner chops, 6 or 8 minutes would be enough to cook them half through. Flip the chops over, turn the temperature to low and cover the skillet. In another 3 to 6 minutes the pork should read at least 145 degrees when measured close to the bone. Remove them from the skillet to a serving plate and tent with aluminum foil. 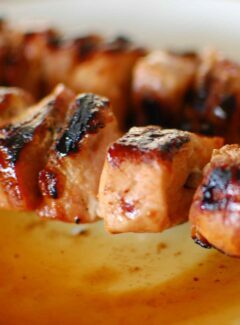 After a few minutes rest, there should be some juices that you can add to the orange glazing sauce. 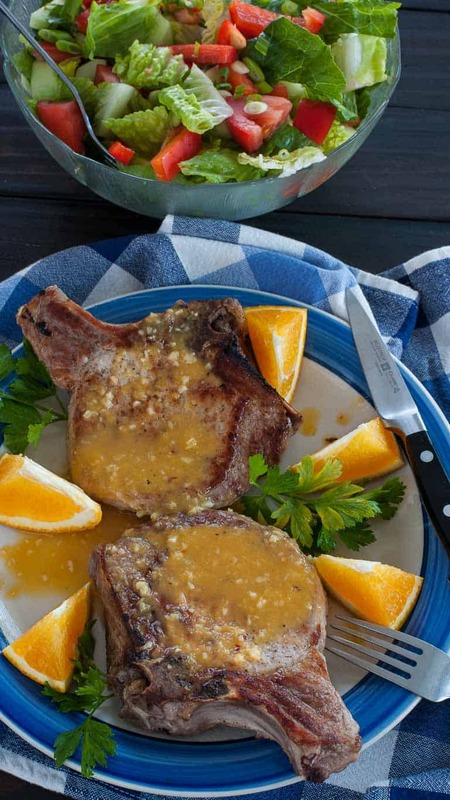 While the pork chops are cooking, start the orange sauce in a separate skillet. Cook the orange juice down until it is reduced by 1/2. This will take 6 or 8 minutes. Taste it to see if you need to adjust the seasoning, in this case, the red pepper flakes. You may want to put a little more in for extra heat. We ate the chops with just a large salad, no other starches. Orange wedges were a nice touch with the salad and pork though. 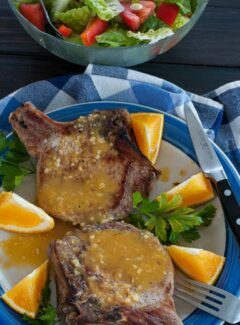 The whole orange glazed pork chops meal took less than 30 minutes to prepare. 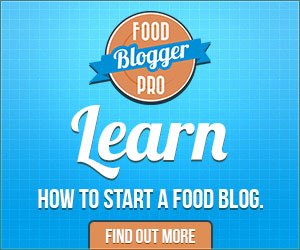 It’s certainly something to try if you have a busy schedule but you enjoy great tasting food. Pork chop meal that takes less than 30 minutes to make. Lightly coat all sides of the pork chops with olive oil, then lightly coat both sides with salt, pepper and cumin. Then coat one side with sugar. 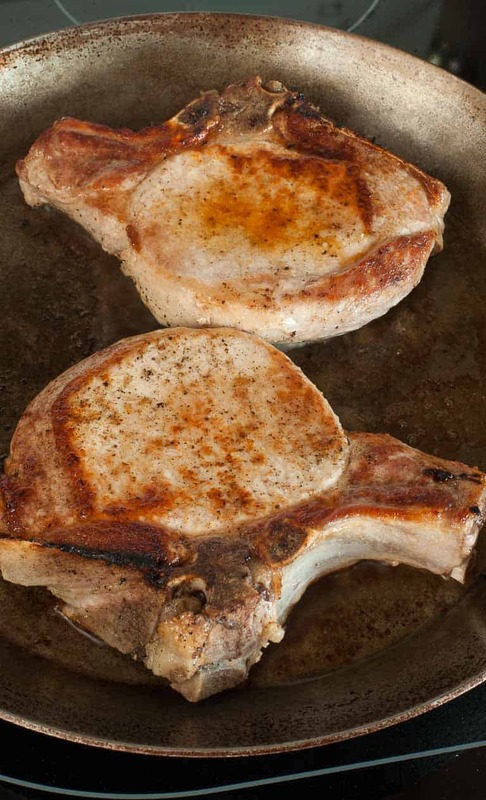 Place the pork chops into a skillet, sugared side down, then place on stove and turn on medium heat. Cook the chops until about half cooked through, 7 to 10 minutes depending on the thickness of the chops. Flip the chops over, reduce the temperature to low, and cover the skillet. Cook covered until the internal temperature of the pork is at least 145 degrees when measured near the bone, 3 to 6 minutes. 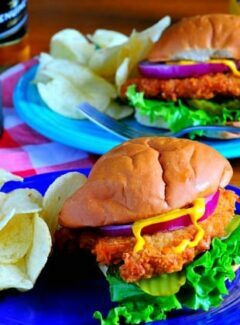 Place the pork chops on a serving platter and tent with aluminum foil 4 or 5 minutes. Pour the drippings into the orange glaze sauce. While the chops are cooking, in a separate skillet on medium heat, add 1 tbsp olive oil, the minced garlic and the red pepper flakes. 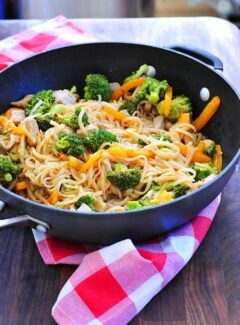 Stir and cook until fragrant, 30 to 45 seconds. Turn the heat up to medium high and add the orange juice and lightly boil until the liquid has reduced by half, 5 to 8 minutes. Taste and adjust seasoning if desired. 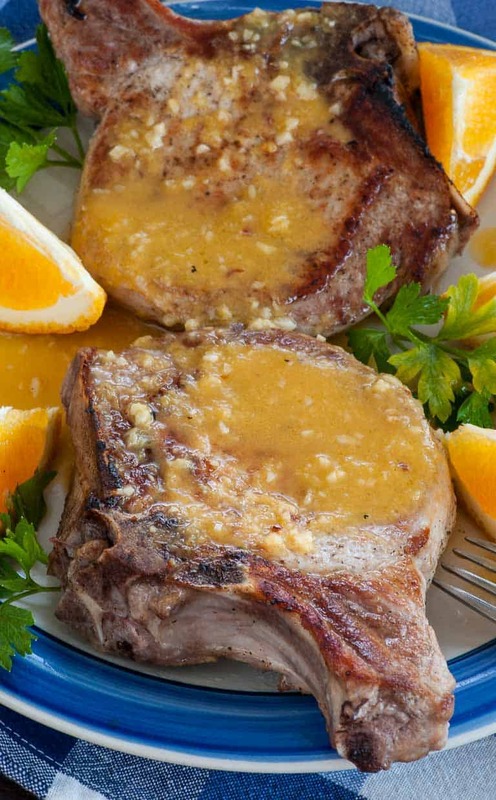 Serve the pork chops topped with the orange glaze.